This is an e-mail I received from Vault.com to market its company profile and insider information services aimed at job seekers. Interesting. Free alcohol on work site. Though this is hardly unorthodox at all. At least they are an alcoholic beverages producer, and who can testify their products better than the employees? I once conducted a e-sourcing training program for Nestle in Beijing. During break I found fridges packed with ice cream bars that are free for employees to indulge themselves, let alone all the other coffees and soft drinks. How they managed not to weigh 200 pounds was a mystery to me. What’s truly amazing, is when companies like accounting firms, investment banks and law firms, offer Friday parties and fully paid gym memberships to the employees as an attempt to promote workplace harmony and work-life balance. 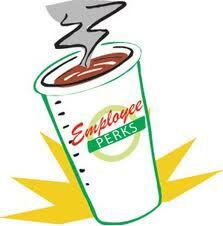 Undoubtedly we all love our perks and benefits. Other than the critical medical and insurance benefits that I think everyone should be entitled to, I am not too crazy on the perks above. It’s a nice gesture, but I do get a paycheck from my employer. If I think that paycheck is fair, I will be as loyal to the company as the reciprocal treatment is evidential. If my colleagues want to complain about not getting free wine, free office furniture, free fancy stationery or even free meals on company dime, I am happy to see them leaving for the folks that do. We all have a choice, and it’s not like our employers have tricked us staying for good. They might have in other aspects, but that is a whole different story, and one that shouldn’t be mixed in the same pot. At the end of the day, all I am saying is that as long as I am compensated appropriately, I’d rather make use of my paycheck and spend it on dinner parties, gym memberships, home furnishings, investment and vacation plans with my family and friends, my way my time. If you find that you are not receiving your paychecks lately, call the Labor Department now instead of stealing office supplies.